Bobby Zimmerman knew at an early age that he was bound for musical glory. The pain in his soul could be managed whenever he held a guitar. And he knew his connection to the music he heard all about him was a special. Dylan was unstoppable. He got rare records any way he could and swallowed America’s musical heritage. Hank Williams and Woody Guthrie showed him that the poetry that he had written could be transformed into lyrics. At the beginning, his confidence was indistinguishable from adolescent bravado. But reality soon verified his expectations. The moments of success accumulated. Some must have stood out to him. Maybe it was the writing of Blowin’ in the Wind, which was far more sophisticated than his earlier work. Or maybe it was when he asked Tom Paxton whether the words of A Hard Rain’s A-Gonna Fall formed a poem or a song lyric. At one point during the staggering rise of his career, Dylan began to see that he was better than anyone else. Other people noticed it too. Some were jealous and angry. Some were impressed. But this explosion of raw talent into an artist and a person unlike any other left the early Dylan with a dilemma. What should he do with people from his past? He was, after all, Bob Dylan, and they weren’t. Joan Didion once wrote of Joan Baez that she was a personality before she was a person. Dylan had that same reality. Dylan wrote about this dilemma in several songs. Let’s consider three relatively early ones. Take “Long Time Gone.” As with many of his early songs, this one was adapted from other songs. The lyrics are a re-working of “Maggie Walker Blues.” The tune was lifted from Kelly Harrell & The Virginia String Band’s “My Name is John Johanna” which Dylan heard on the influential Anthology of American Folk Music compiled by Harry Smith. In a telling sample of how Dylan worked, Dylan’s lyrics are far superior to the material he borrowed from. He was a master thief with a unique access to language. Here Dylan defines his feelings towards the people he meets along the way as he speeds along his career track. He tells them that he doesn’t much care what they think of him. He needs, instead, to use his time to think about what his art calls upon him to do next. His work is more important than worrying about the reactions of others. This might uncharitably be seen as a dismissal of other people, but from another point of view it defines the quiet focus artists require to do their work. It’s selfish if the artist lacks true talent. A talented artist like Dylan makes the issue more complicated. What is, after all, the appropriate relationship between talented artists and people who want to interview them, get their help becoming famous, hang out with them, and in other ways deprive the talented artist of the private space needed to create? Dylan also addresses his own attitude to those he leaves behind in “It’s All Over Now, Baby Blue,” the final track of his 1965 album Bringing It All Back Home. Dylan has also gone from not thinking about those whose lives he has passed to actively trying to forget them, to erase them as if their existence in his mind will interfere in his art. He has a realization that most people are stuck in their lives and won’t explore in the way he thinks is crucial to artistic creation. In these lines, Dylan is talking about how his Jewish fathers, that is his ancestors, have been without a belief in Christian love, which Dylan asserts is the “true love.” Reminded of this by Jewish women, the daughters of the fathers, Dylan says he doesn’t even think about it. There seems to be a simple indifference in these lines. It’s possible to read some cruelty into the lines, some angry refusal to even think about the long Jewish genealogy that led to his birth. As these lines indicate, Dylan the artist wants to be alone with his own mind and to do so needs to stop caring, to forget, to ignore, to willfully be indifferent to others. It seems as though it’s a sad way to live, but perhaps one filled with the necessary mental isolation to see what others can’t see, to find language that others don’t hear, and to transform tunes that others hear only in the familiar way. King David was Leonard Cohen’s most influential artistic ancestor. As the supposed author of the Book of Psalms, David wrote poetry that was meant to be sung. And not just any poetry, but poetry that commingled two sorts of deep longing, one for women and one for God. Leonard Cohen saw King David as the first and most important model of what he wanted to do. Leonard Cohen, that is, is best understood as a psalmist. It is no wonder then that Cohen’s most famous song, “Hallelujah,” begins with David playing his secret chord to God. David’s is a Biblical story of lust leading the King (in the Bible, though not in the song) to arrange for the death of the husband of the woman he desires. Cohen’s song combines a praise of God with very explicit sexual references. If we think of Cohen as a psalmist like David, we can understand his focus on both the sacred and the profane, the spiritual and the sexual, in his songs. And we also understand the impetus to get the words exactly right. Cohen reportedly sometimes took years to get every word and phrase the way he wanted it. As a psalmist, he was writing for and to God and so offhand efforts were blasphemous. (There were also practical reasons for such precision: he was proud of his language and he knew he would have to sing the song for a long while and wanted to feel it was the best he could do). The practical side of him was important. Cohen was no fool. He worked and wanted success in an industry feeding on an audience’s endless hunger for songs about desire, true love, romantic longing, and painful loss. It made no sense to isolate questions of spirituality. His songs use the spiritual as a flavoring, but the focus, for the audience at least, was most frequently on the romantic. He kept his own spiritual experiences and beliefs private. And yet the spiritual resources he drew upon for his songs were plentiful. He found in Jewish, Christian, Sufi, and Buddhist traditions, among others, an enriching way of understanding a path to embracing the transcendent. It should be emphasized that Cohen didn’t shed one religion for another. Even as he stayed in a Rinzai Zen monastery, he continued to identify as a Jew. He absorbed a desperation from Jewish history, but a hope as well, a belief, as he put it, that there was a crack even in despair and in that crack some light could enter. He wrote until the end. His last album, only the fourteenth of his career, was titled “You Want it Darker.” It was an album of resignation in both senses of the word. He was ready to resign from life, but he was resigned to his fate. “Hineni” [in English "here I am"] he calls out to God. He announces his readiness to meet the Almighty. The Bible records 150 psalms by King David. And now we have Leonard Cohen’s psalms in the Tower of Song. Both sets of psalms bring us peace, beauty, a sense that we will survive through the pain, and that we can, if we wish, hear the still, small voice of God. The day after Jack Kerouac’s funeral, I was sitting around a table of Beat writers. Allen Ginsberg was across from me. Gregory Corso and I were discussing the merits of various writers. I then unintentionally provoked the verbally combative Corso. I told him that I was going to attend a Bob Dylan concert, and I began to praise Dylan. Corso went into a five minute tirade about Dylan and other singer-songwriters who claimed to be poets. Corso was not amused. Not all the Beats agreed, of course. Ginsberg genuinely admired Dylan. Suze Rotolo, Dylan’s important early girlfriend in New York once told me that if I want to understand Dylan, I should talk to Ginsberg. But, from the beginning of his career, Dylan provoked considerable jealousy and anger in his less emotionally generous competitors and colleagues. When the announcement of Dylan’s winning the Nobel Prize in Literature was made, there were reportedly audible murmurs in the hall. Wasn’t the Prize for writers rather than this…this song maker? I thought of those writers around the world who felt deflated, cheated, and upset at the announcement. But, at the end, Dylan was and is a writer of lyrics and music. No one can dispute his abilities in that role. But there will be, beyond the glee or anguish that different people feel, the simple question: Does Dylan deserve the Nobel in Literature? It’s not an idle question. After all, Tolstoy, Proust, Ibsen, Joyce, Zola, Twain, Chekhov, and Auden are among many literary geniuses who didn’t receive the Literature prize. Perhaps the principal objection to Dylan getting the award is that his work is meant to be presented not read. As if by fate, an answer to that objection has been provided. Today, on the very day of Dylan’s winning, Dario Fo, the 1997 winner of the Nobel Prize in Literature, died. Fo won the award as a playwright. Other playwrights who have won include George Bernard Shaw, Luigi Pirandello, Eugene O’Neill, and Samuel Beckett. Playwrights are not meant to be read. Their work is meant to be performed, with sound, costume, and the other elements of a theatrical event. These playwrights are the appropriate precedents for awarding the Prize to Bob Dylan. Additionally, Dylan’s influence on others, including novelists, poets, and short story writers, is extraordinary. Virtually by himself, Dylan changed the borders of a song’s possibilities. From the beginning, armed with Hank Williams and Woody Guthrie as his models, he ignored the rules and the pressures of fans. His detractors can legitimately point to the way he treated women in his life. Some would object to his supposed glorification of drugs. He himself felt some guilt about removing God from his listeners’ lives. But no one can legitimately dispute that Dylan virtually single-handedly transformed at the very least music and, more arguably, all of American culture. There is a question, though, that I think is more telling. That question is not if Dylan deserves it but rather whether someone else deserves it more. Just to name five, among others, a case can be made that Haruki Murakami, Philip Roth, Don DeLillo, Joyce Carol Oates, and Thomas Pyncheon all are more deserving. I’ll confess that I don’t much care for the Nobel Prize in Literature. It is political as much as literary in its choices. Even the choice of Dylan can be understood as a publicity stunt. If it was, it worked. Everyone will be talking about Dylan winning. I’ll leave it to readers to determine if anyone was more deserving, but I’m pleased Bob Dylan won. I’m happy for the great lyricists, the Harts, Berlins and so many others who have retrospectively gained a measure of respect because one of their own has attained such recognition as a Nobel Prize. I’m happy for those who write songs now. The bar has been raised for them to push themselves harder. And I’m very happy for Dylan’s fans, some of whom no doubt will do as I did and listen to Dylan. I immediately played “The Times They Are A-Changin’” which was the first Dylan song I ever heard. Bob Dylan’s 75th birthday on May 24th almost coincides with the 50th anniversary of D.A. Pennebaker’s remarkable film Dont Look Back. To celebrate all this, the Morrison Hotel Gallery (at 116 Prince Street, 2nd Floor, New York), in partnership with Arthouse 18, will offer a Dylan exhibit from the film from May 18th to June 14th. The exhibit will also be at the Gallery inside the Sunset Marquis Hotel in West Hollywood from June 11th through June 26th. All the images displayed in these exhibits are available for purchase. I still vividly recall seeing the film in September 1967 when it arrived in New York. I didn’t realize it would provide a record of Dylan’s final solo acoustic tour. It was filmed in England from the end of April to May 10, 1965. I was impressed watching Allen Ginsberg in the background of the famous opening with Dylan tossing aside large cards with parts of the lyrics to the accompanying sounds of Subterranean Homesick Blues. The great irony is that the whole song is performed, unlike the relatively brief snippets of songs in the film itself. In that sense it’s a deliberately anti-documentary. It’s in black and white. It’s jumpy. The refusal to use an apostrophe in the film’s first word might be a sly wink at Dylan’s attitude toward grammatical rules or it might be a Joycean attempt to play with language or it might be a mistake. At any rate, Dylan didn’t need to follow Satchel Paige’s dictum. No one was ever going to gain on Bob Dylan. The film’s virtue was to capture a crucial moment, a pivotal moment, in Dylan’s life. He was under enormous pressure. On July 25th he would be at Newport and ignite a storm because the ghost of electricity would howl in the bones of his guitar. He would soon be marrying Sara, but Joan Baez took herself along on the trip, and he had to find a way to come to distances with her. Everybody wanted a piece of Bob Dylan. Every time I saw the film, I was attracted and repelled by an overwrought, spoiled, or petty Dylan struggling to balance his responsibilities and his audience and his art. Some (but not all) of the outtakes of the film were released as Bob Dylan 65 Revisited. In that film, we see another side of Bob Dylan, one in which, for example, he talks kindly to British children and teenagers. It was almost like this sweet side was expunged from the original to create a particular image. I once asked Pennebaker what it was like to work with Dylan, and the director offered an interesting response. “In everybody’s life he was like a shadow. He just sort of went through their lives and out the front door…He just was hardly there.” It’s a telling observation. Dylan’s elusive lyrics emerge from an elusive person, as though he needs to keep the heart of his being completely private. That unsettled self can shock us or lead us to consider the stability that we think we have. There are little gems in the film, such as seeing Dylan being able to concentrate in the surrounding chaotic circus of his entourage. There’s a fascinating scene in which Dylan, Baez, and Bobby Neuwirth are singing Leon Payne’s remarkable song Lost Highway, a song Hank Williams made famous. Neuwirth has to prompt Dylan about the first verse, which begins with “I’m a rolling stone.” Dylan wrote Like a Rolling Stone at the Roger Smith Hotel in Washington and released the song a few months later on July 20, 1965. When Dylan fans look back at this film, they will find a lot to see. Happy 75th to the man we can see but never know. The highway is one of the most compelling of American symbols. Constant travel went from being a necessity for the hobos during the Great Depression to being a source for inspiration. Tennessee Williams has his character Tom observe at the end of The Glass Menagerie that he was “attempting to find in motion what was lost in space.” He couldn’t find the answer, his place in the cosmos, at home so he had to be moving all the time. Jack Kerouac, of course, influenced an entire generation and its inheritors in On the Road about characters feverishly in search of a meaning that is never found, characters who speed from one broken dream to the next. Beyond the highway as the pathway to a life search, it can also be a pathway to doom as in Leon Payne’s remarkable song Lost Highway, a song Hank William made famous. These touring songs may or may not include a singer’s exploration of the locales where they perform. But whether they do or not, when a singer like Dylan tours, the primary purpose is not to search for meaning, not to find a pathway for life, but to appear in front of an appreciate and paying audience. Dylan’s constant travels, then, are not like Kerouac’s or Allen Ginsberg’s or Woody Guthrie’s. The travels Dylan takes don’t exemplify the myth of the open American road. And these tour trips are not taken on the real Dylan Highway. Dylan goes on his own highway by changing identities, musical styles and interests, and belief systems. His highway is internal and eternal. He doesn’t have a single place to return to on this internal journey; he really doesn’t have a direction home because he has no settled self. Home isn’t a place for him. It’s a fixed, unchanging identity. Most of Dylan’s listeners aren’t like him. They do have a settled self, an evolving but still identifiable being. But Dylan is precisely valuable to all of us because he can destabilize our settled selves. He can force us to look at ourselves as we watch him discard selves like last year’s distasteful choices. We watch him go through the cycle: get a self, use it, throw it away, get another self. And as we witness this, as some people get furious with every style he dismisses and every new self he embraces, he gives us a glimpse of the alternative lives that lurk within us. He forces us to see our settled selves and in so doing forces us to decide whether or not we want to keep it. He is a salesman of selves, parading his large collection of wares for us to witness. Dylan’s Highway is a learning highway, an internal journey from home to all the possible homes in which we might live. So, angry at him or not, he makes us see that we don’t have to settle. He offers us a map if we wish to travel on the Dylan Highway. I had been thinking about escape artists, though not in the usual sense. I’m writing a book about the origins of Zionism and how the persecuted Jews especially in Eastern Europe felt a deep and sometimes painful yearning to escape so that they might lead a new life. Theodor Herzl, the founder of modern political Zionism, was one man who needed an escape from the failures of the European attempt to assimilate Jews and from much else. I realized as I explored this theme that while we often think of an escape as getting away from a place, escaping also means escaping from the travails of the world, from the traumas and terrors of our own body, and from our own minds--the stifling emotions, the ideological rigidity that prevents liberating thoughts, the pattern of emotional reactions that can undermine our treatment of ourselves and others. In thinking about my flip answer to my friend, I realized that Bob Dylan had indeed been a master escape artist. He had to escape Hibbing, his parents, the intellectual choke hold of a politically needy folk community, Albert Grossman, and Joan Baez—the woman who had a principal role in making him famous but whom he had to escape from to be with his first wife, Sara. Dylan had to escape from the annoyingly aggressive press and the earnest, sometimes helpful and well-meaning but often self-aggrandizing and misleading critics who wrote about him. (I include myself in this ever-growing group). He had to escape his own fans. Dylan had to escape each succeeding identity he acquired so that his identity of the moment wouldn’t become a straightjacket preventing his soul from moving about freely. And just like Dylan needed to escape others and sometimes himself, others sometimes had to escape him. Women made up most of those escapees. Women, from the young, decent, loving, kind, confused Suze Rotolo who started out dating a singer and ended up with a celebrity and going through the “pretty maids all in a row” that he encountered in his life. They ended up needing to escape Dylan’s tornadic life. And other singers found they needed to escape Dylan’s musical orbit. At the beginning, in Greenwich Village, many of the musicians were jealous of the shocking expanse of Dylan’s talent and the velocity of its growth. Many, like Tom Paxton, reconciled themselves to the realities of their competitor and just accepted Dylan. But some, like Phil Ochs, couldn’t accept that their talent was lesser than Dylan’s. They tried to escape and, in Ochs’ case, could not. Ochs surely must have understood that without Dylan on the scene, Ochs could easily have been accepted as the boy genius, the heir to Woody Guthrie, the greatest writer of political folk music. Of course, I was punning in calling Dylan an “escape artist.” He was unusual in his adeptness at escaping from some kind of confinement. Houdini didn’t do this, say, as a prisoner who could keep escaping jails, but as a performer. Dylan also did it as a performer but he was an artist at more than escaping. He was a musical genius who could write captivating songs about escaping. There are many love songs that Dylan wrote about escaping. But perhaps “Drifter’s Escape” is his most interesting song about the subject. The song opens from God’s point of view as a drifter calls out for God’s help. “’Oh, help me in my weakness,’ I heard the drifter say.” A mob is carrying the poor man from the courtroom even though “I still do not know/ what it was that I’ve done wrong.” The judge works up a tear, but he is part of the system and tells the drifter not to try to understand his fate. Suddenly, a bolt of lightning, delivered by God, strikes the courthouse. The mob, misunderstanding God, kneels to pray presumably for their own safety, and in the confusion, the drifter escapes. Dylan is making a clear allusion to Kafka, and had a good reason. The song was written in 1967, as Dylan was put on musical trial by some of his fans for abandoning folk music for rock music. Those fans found him guilty, but Dylan found the strength to escape them through God’s help, as could be seen on Blonde on Blonde and much more explicitly in later albums. We often think of ourselves as being powerful enough to be the agent of our own escape. That is what Herzl thought. He didn’t rely on God’s intervention or the kindness of nations for the Jewish people to re-establish their ancient nation. Herzl thought agency was self-fueled. Dylan held a similar view on earlier albums, and his switch to a God-centered world was not only a major change in his life but also a major change in how he saw the human ability to escape. To contact the author: lawrencejepstein@gmail.com. This post is dedicated to the great David Lehman. 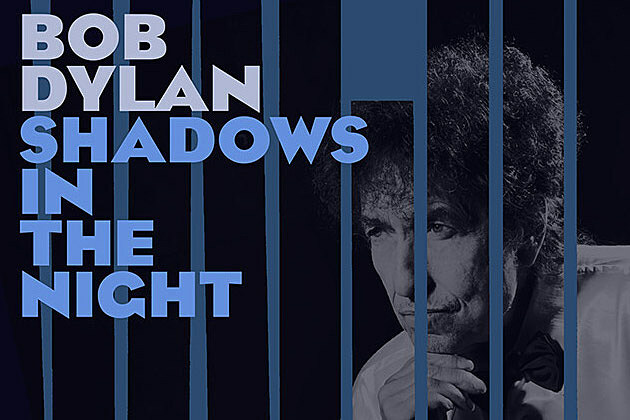 In his latest album, Shadows in The Night, Bob Dylan sings ten songs to God. For Dylan, singing is the most authentic form of prayer. 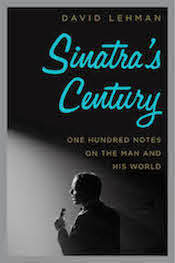 The songs aren’t his own but come from the Great American Songbook as filtered through Frank Sinatra’s inimitable voice. Why not Dylan’s own songs? And, if not his songs, why Sinatra’s? To answer these questions, it is crucial to understand Dylan’s aim in the album. Dylan was after an album of allegorical love songs. This tradition started for him with “Visions of Johanna.” In that song Dylan is with the earthly Louise while yearning for the spiritual Johanna. The exact nature of Johanna's Godliness is not clear in the song. She could be God as represented by a female, or a metaphor as in the "Song of Songs" tradition, or one aspect of God, or a private way that Dylan experiences God. It is very likely that Robert Graves’ book The White Goddess influenced Dylan. 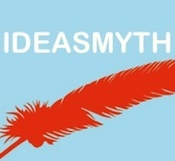 That complex book is about a muse, a White Goddess, who was a single Goddess behind the various mythological goddesses. In his book Graves argues that “pure” poetry is linked to the White Goddess. That is, however Dylan formed the idea, he sometimes appears to be singing to a woman but in reality is singing also or exclusively to God. Other examples of his allegorical love songs include “Shelter From the Storm” and "Red River Shore." Therefore, while it’s easy to hear the songs on Shadows in The Night as standard love songs, they are more resonant, closer to Dylan’s intentions, if they are heard as songs to a feminine representation of God. That in part explains the use of Frank Sinatra’s songs. Sinatra provides a perfect counterpoint to the idea of woman as God because Sinatra could uniquely deliver love songs. That is, his songs were sung to woman as woman. Dylan takes these great love songs and uses them in a new way, expanding them, not just reinterpreting their sound but also their meaning. Interpreted in this way, the Sinatra songs of romantic longing remain intact but suddenly also include a desperate plea, an intense spiritual longing. These are not the songs of Dylan on a spiritual quest or Dylan in the rapture of religious embrace. These are the songs of a lost God, of Dylan wondering why God has gone. A shadow in the night is a darker shade of what is already dark. These songs long for an absent God. The album operates by looking at all angles of this longing. In “I’m a Fool to Want You” Dylan berates himself for even wanting God. In “Stay With Me,” just the opposite is true because “every path leads to Thee.” Dylan wants God to be near. “Autumn Leaves” sounds like a whole new song on the album. In “Why Try to Change Me Now,” Dylan begs God to accept him as he is: “Don’t you remember? I was always your clown.” It almost sounds as though Dylan wrote those lyrics. In “Where Are You” Dylan longs for the absent God. There’s a crucial insight about belief in these songs. Religious belief is dynamic. It changes over time. Dylan believed, but God has abandoned him. And that’s why Dylan is not singing his own songs. The otherness of the songs is a metaphor for the distance he feels from God. He can’t even pray with his own words. The real brilliance of the album’s song choices stems from the notion that God’s relationship with Dylan is exactly like the relationship between romantic partners. Such a relationship can change over time. Feelings can get close and then sometimes retreat. And so in singing to a gone God, it makes good sense to sing love songs of longing for reconciliation. Dylan’s is a perfect voice for these songs. As many listeners have noted, his voice sounds fresh and clear. He doesn’t just sing; he begs. There is a plea in every song offered by a voice that has lived. It is a voice weighted down by the accumulated strains of life. And then there’s “That Lucky Old Sun,” the final song on the album. Dylan sometimes ends an album with a hint about his future direction. If so, it is a sad direction home. In the song, Dylan is envious of the sun because it can “roll around Heaven all day.” The way Dylan sings it, it is a song of someone weary of life, someone who desires death. And yet his is a voice that won’t be stilled. His feet still move on to the next stop on the tour. This is simply an incredible album. DYLAN: THE BIOGRAPHY. Dennis McDougal. Turner Publishing Company. There are a thousand doors that lead into the House of Dylan. Dennis McDougal has managed to open a new door. Applying a muckraking sensibility to Dylan’s life, McDougal has opened the door of snarky biography. His book is chock full of revealing and sometimes unflattering incidents, gossip, and well-researched facts. There are nuggets of juicy information on every page. This constantly entertaining approach has, however, some built-in limitations. To focus so exclusively on Dylan’s life means McDougal has to strain out extended discussions of the lyrics and the music. It might be argued that such efforts already exist or that they are unhelpful since so many of Dylan’s best lyrics are private to the point of being inexplicable. McDougal inherently argues that the life is so jam-packed, so quivering with meaning, so curious with its parade of characters, so endlessly fascinating to legions of obsessed fans, that trying to decipher the lyrics is best left to the professors who like Dylan’s poetic looks. Still, some readers will be disappointed. All biographies of Dylan have the same big problem. We know a lot about Dylan, but we also don’t know a lot. Dylan’s life is marked by interiority. No one has access to his thought dreams. No one can unpack all the lies, all the deceptions. It should be noted that McDougal’s book is particularly valuable because he emphasizes Dylan’s many false identities, “borrowing” lines, and misleading stories. With all the facts, it would have been interesting for McDougal to pause and reflect more. He has a very insightful understanding of Dylan’s audience, and I’d like to have read more of his thoughts about them. He writes in an eye-opening way about Dylan’s mother and her ability to make up stories or invent new lines for Mother Goose rhymes. I wonder to what extent Dylan’s linguistic skills, evident early to his Hibbing friends, were inherited. And do Dylan’s misdirections to everyone indicate a manipulative personalityor is there another explanation? Allen Ginsberg said of Dylan in 1976, "I don't know him because I don't think there is any him. I don't think he's got a self." McDougal is a talented journalist, and he includes material not found elsewhere. I’m impressed, for example, at how intelligently he describes the privately-printed memoir of B.J. Rolfzen, Dylan’s influential high school English teacher. But the very inclusion of such interesting material brings up a wider question. What is amazing is that even with the heft of the book, even with McDougal’s impressive research, there are compelling stories that are not included. For example, Rolfzen told me that he used to go to a local cemetery jotting down epitaphs, connecting them together, and reading that list to Dylan’s class. For the effect of this, see “11 Outlined Epitaphs” in the liner notes to The Times They Are A-Changin’. In a way, McDougal’s book makes it abundantly clear that an artist like Dylan ultimately needs a very long multi-volume biography. The writing, crisp and always readable, is untainted by jargon or unnecessarily dense prose. Still, McDougal does have an odd locution or two. For instance, he refers to Greenwich Village as “Greenwich” which no resident there does; they always call it the Village. The book, though, is valuable for its unmatched approach to Dylan’s life and his providing an important corrective by focusing so much on Dylan’s later life bringing his story up-to-date and offering an appreciation of Dylan’s many later achievements. Dylan: The Biography displays a jaw-dropping amount of tales told in admirable prose. The book is very suitable for Dylan fans and those who wonder why so many people keep knocking on one of Dylan’s doors. I am writing in response to today’s front-page article asking when the time is right for an old geezer past his prime to get off the stage. The piece begins with a scathing account of a recent concert by Bob Dylan. You illustrated it with a cartoon of Dylan with a prune juice bottle at his elbow. My first reaction was yeah. I was at that concert. I’ll never pay to hear him anymore. And it was expensive. The cost to pleasure ratio was way out of whack. However, then I considered the unexamined premise behind the piece, which is that age brings infirmity and loss of prowess without a compensatory gift, in this case the beautiful nobility of Mr. Dylan’s professional presence. I’d rather have a croaking Bob Dylan than 90% of what’s out there. And how typically inconsistent for the Wall Street Journal to say in one breath that Dylan at 69 is too old to perform and in the next breath that we should extend the retirement age to 69. As a free-market capitalist I feel that Dylan should retire when the market says he should. My book The Basic Beliefs of Judaism: A Twenty-first-Century Guide to a Timeless Tradition has just been published. Writing it compelled me to think of how idea systems are structured and about the nature of their constituent elements. Of course, my mind inevitably wandered from trying to provide an organized and systematic explanation of the Jewish articles of faith to other belief systems. Since I’ve written so much about Bob Dylan, I began to wonder what it would look like to examine Dylan’s basic beliefs. I quickly concluded that, very much like the Judaism I had just written about, it wasn’t possible or even desirable to pretend that there was an easily defined set of such beliefs. Still, surely Dylan had strongly-held beliefs. So I wondered how to locate them. I finally decided to consider a representative song. My choice is completely arbitrary. 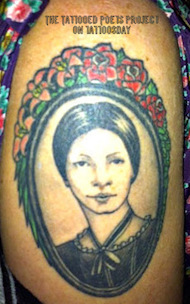 I chose it because it was written at a creative and pivotal moment in Dylan’s career. “Maggie’s Farm,” recorded on January 15, 1965, is most frequently is understood as Dylan’s refusal to go along with the folk movement’s expectations of him, especially that he stick to acoustic rather than electric music and continue to write social and political protests against injustice exclusively rather than write about his personal feelings. The song became a living symbol at the 1965 Newport Folk Festival when Dylan went electric as he sang it. Proponents of the view that this song is a rebellion against the folk community point out the similarity of Maggie’s name to that of Silas McGee. It was on McGee’s farm that Dylan performed “Only a Pawn in Their Game” for a 1963 civil rights gathering. This song can be seen performed in Dont Look Back. However, it is also plausible that Dylan took the idea of complaining about working on a farm from the 1929 song “Down on Penny’s Farm,” which Dylan had heard on Harry Smith’s iconic collection Anthology of American Folk Music and had used as the basis of an earlier song, “Hard Times in New York Town.” “Maggie’s Farm” also bears some similarities to Gid Tanner and Riley Puckett’s “Tanner’s Farm,” recorded in 1934. There are two beliefs inherent in these observations. Dylan’s foundational belief in the song is that he will not be chained to any movement, any group that wants to claim and own him as their own. As he asserts in “It’s Alright, Ma (I’m Only Bleeding),” another song on the same Bringing It All Back Home album: “It is not he or she or them or it that you belong to.” He laments that “everybody wants you to be just like them.” Dylan’s crucial belief is in artistic and intellectual independence. Dylan’s second basic belief evident in the song is his faith is in traditional music. He may not like movements, but he is grounded in the roots music of American life. If the Bible later came to either replace or supplement the American musical canon, at this stage of his life, Dylan’s truest guide was what he heard in the great music of the country, especially early 20th century blues and country music. If there is any group in which he feels comfortable, it is the community of musicians, so long as he’s not limited to any one musical influence or heritage or any one type of song that he must sing. There’s a third belief almost hidden away. It’s in the third and fourth lines of the song when he wakes in the morning folds his hands and prays for rain. It’s an odd statement in this angry song because the song mocks belief in others but not in the power of prayer to produce rain. It may be he wants the rain so he won’t have to go outside and pray. The point, though, is he prays at all and believes in the power of prayer. This belief became central as he got older. And just as Dylan didn’t want to be chained to a musical movement, so, too, it would turn out that he didn’t want to be chained to a particular religion. He mistrusted religious groups as much as he mistrusted any other kind of group, and his religion would, stemming from his foundational belief in complete personal freedom, focus on his own relationship to God rather than on his attachment to a religious group. “Maggie’s Farm” also contains a seemingly ironic belief. The fourth belief in the song is in the importance of protest. That is, Dylan believes it is an individual’s moral duty to protest, but not to do so as part of a movement. In this song, Dylan complains about the National Guard standing around the door. Because the farm is run by so many oppressive people, the farm itself might be seen as the symbol of an oppressive state. It should be noted, though, that it’s no accident that it was Dylan who suggested what became Farm Aid in a comment made at the 1985 Live Aid concert. For Dylan, farms weren’t oppressive, but a symbol of family and home. Hollis Brown and his family, for example, lived on a South Dakota farm in Dylan’s song about the family’s tragedy. On that reading, Maggie and her family are ruining Eden, turning what should be a family refuge into a horrific place. Dylan in this sense longs for simplicity, for a return. Instead of the song being a cry for fighting against an oppressive state it becomes a cry for returning to lost traditions. So, the fourth belief is indeed a call to protest, but it is not a call to protest from a particular political viewpoint. Dylan doesn’t want to be owned by any one political ideology. This is Bob Dylan by Greil Marcus Writings 1968-2010 (PublicAffairs), a just-published treasure trove of the author's indispensable riffs on America's enigmatic musical legend. As the most interesting writer about Bob Dylan, Marcus is brutally honest, often with a trenchant wit, capable of seeing connections invisible to everyone else, and brimming with unpredictable passion. And doesn't that description fit Dylan himself? Maybe that's why Marcus is such a perfect Dylan audience. The book opens in the summer of 1963 with Marcus in a New Jersey field eager to hear Joan Baez and surprised when she introduces a friend, a "scruffy looking guy with a a guitar" whose name Marcus didn't catch. After the show, Marcus found the young Bob Dylan crouching behind the tent trying to light a cigarette. Marcus tried to offer praise, but Dylan would have none of it. And so it began, Greil Marcus' quest to look at Bob Dylan and see how America was reflected in him and how his reflection changed America. It is a long, dazzling journey. It includes the notorious four word opening line of Marcus' 1970 review of Dylan's album Self Portrait, a review that was a succinct declaration of independence from uncritical Dylan adoration. There's a 1979 review of Slow Train Coming about Dylan's embrace of a version of fundamentalist Christianity Marcus calls "southern Californian suburban." Marcus' brilliant take in the review titled "Amazing Chutzpah" is that this kind of religious conversion seems like one more stop on Dylan's restless journey but that such a conversion can end a quest for answers by seeming, falsely, to settle every question. Over and over in this book, Marcus looks at Dylan and uses the singer to offer bulletins from the front lines of American culture. There are great essays on "the myth of the open road," the location of Desolation Row, and much else. I particularly liked Marcus' recounting his visit to Hibbing High School and Dylan's famed English teacher, the late and wonderful B.J. Rolfzen. And then there's "High Water Everywhere," Marcus' response to the September 11th attacks. The "article" is a jarring collection of quotations that, taken together, provides a penetrating look into the American soul. The book concludes on election night 2008 in Minneapolis. It is difficult to convey the energy of Marcus writing style. I think of it as linguistic pointillism, with Marcus' precise and daring dots of Dylan's career ultimately forming a larger image, a picture of a very strange landscape called America. Whatever Marcus' style is called, it is riveting. Readers won't always agree with him. Indeed, that's the fun. He's so engaging you want to enter the debate. Greil Marcus is justifiably noted for a string of terrific books, especially about American music. This anthology, vital for every Dylan fan and for those who wish to understand the last forty years of American culture, provides powerful support to those arguing for Marcus' place as the preeminent cultural critic of the country. It is possible to select carefully chosen materials from Bob Dylan's life and songs to reflect your own beliefs. So it is with some hesitation that I describe Dylan's relationship with Israel. I will present all the material, sparse as it is. In May 1971 Dylan and his then wife Sara went to Israel without their children in hopes of escaping the media frenzy in America, having a bit of a second honeymoon, and exploring Jewish roots, a subject Dylan became increasingly interested in after his father's death on June 5, 1968. On May 24th, Dylan's 30th birthday, a photographer got a shot of him praying at the Western Wall in Jerusalem while wearing a kippah, the traditional Jewish head covering.The photo ended any possible privacy. At some point in late May or early June, the Dylans visited Givat Haim, a kibbutz, to explore the possibility of staying there for a while. Eve Brandstein, a member of the kibbutz, told Dylan biographer Clinton Heylin that Dylan wanted to stay in a guest house but not work on the kibbutz. The kibbutz members did not want to accept his conditions for living there and were scared their home would be a magnet for the curious. The album wasn't released until November 1, 1983, but in September that year Jesse Dylan, Bob's then seventeen year old son, had a late bar mitzvah in Israel, and his father flew over for the event. He was again photographed wearing Jewish religious items. Dylan played his first concerts in Israel on September 5th and 7th 1987. (Probably by coincidence, his very next concert was in Basle, Switzerland, the site of the First Zionist Congress in 1897). Dylan played three concerts in Israel on June 17th, 19th, and 20th in 1993. Symbolically or not, he ended the latter two concerts with "It Ain't Me Babe," about a relationship in which he rejects the expectations placed upon him. Those are the principal facts. There may be much more we do not know. Additionally, there was a persistent rumor that Dylan would be playing in Israel next month, but if he is the concert is not listed on his official website. He will be in the area around his 69th birthday. He's giving a concert in Greece on May 29th and Turkey on May 31st. If Dylan seems conflicted about Jewish religious beliefs, he connects emotionally to a Jewish history punctuated by persecution. He grasps the longing for a Jewish homeland. Dylan's silence about Israel may reflect some ambivalence. Or he may just wish to keep his views private. It is significant that there are no negative songs about Israel, no comments hostile to the Zionist enterprise, no initial embrace and later abandonment of the Jewish people's heroic return to national history. Dylan will be 70 in 2011. It's a symbolic year for him, a biblical lifespan, a time of profound reflection. Perhaps it will be a good moment to pause in his never-ending tour. I wonder what he will find as he examines himself at 70. I wonder if after all his wandering, his endless searches, his constant need for shedding skins and acquiring identities, he finally needs a place to land, a place connected to his understanding of God, a place where history and geography can't be separated, a place where outcasts have found a haven, a place where his ancestors originated. I wonder if Israel will turn out to be his direction home.